Did you know that the average stopping distance doubles while driving in the rain? Wetter road conditions combined with poor visibility, making winter driving much more dangerous. Many drivers are now looking at water repellant products to help disperse raindrops and keep their windscreens and windows clear. Rain-X Rain Repellant is a popular choice, which claims to aid visibility up to one second earlier in bad conditions, making a big difference to stopping times. Read our guide to Rain-X and how to use it below. Rain-X Rain Repellant is an automotive glass treatment for use on windows, windscreens and mirrors. It’s a hydrophobic (water resistant) silicone polymer, which causes water on the glass to form into beads and roll off. Its purpose is to enhance visibility whilst driving in bad weather conditions such as rain, sleet and snow during the day and night. 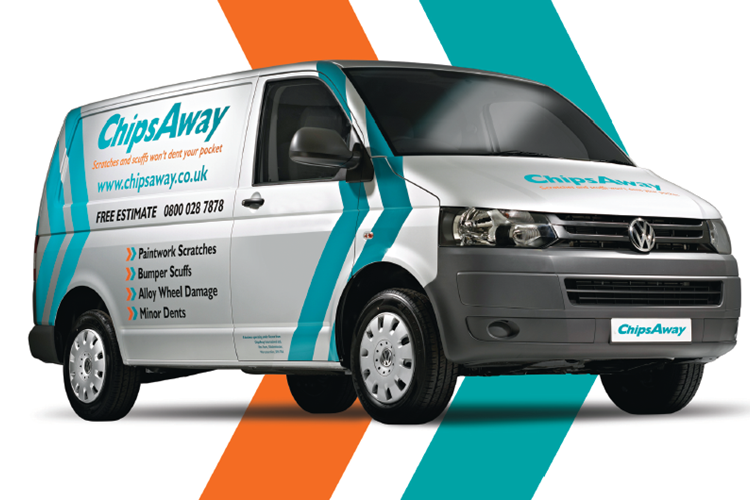 The product can be used on the front and rear windscreens, windows and mirrors and applied inside and out. The treatment uses water beading technology, working with the natural airflow. It works as an invisible barrier between rain and the windscreen, helping water to slide away. 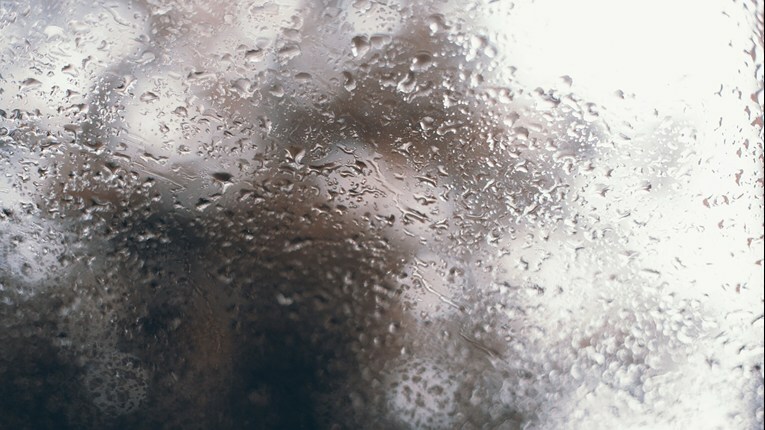 Glass treated with rain repellant also prevents bugs from sticking and is less likely to freeze over in cold conditions. Regular use of the Rain Repellant solution can restrict the frequency of hard water stains or dirt deposits from accumulating too. Rain-X is quick and easy to apply at home and doesn’t require any specialist equipment. Make sure you choose a dry, fair day as it cannot be applied at temperatures below 5 degrees Celsius. 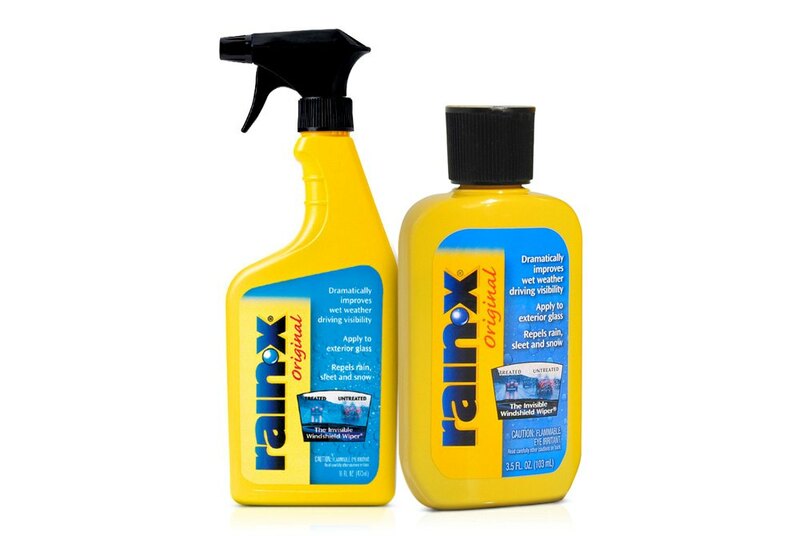 Clean the windscreen thoroughly before applying Rain-X to your car windscreen. Use a general car cleaner or one specially designed for an automotive glass to remove any grease or contaminants. Dry the windscreen. Put a little Rain-X onto a microfibre cloth and apply directly to the glass, working from the top down. For the windscreen, apply the product to one half of the glass at a time. Don’t apply too much – you only need a thin coat. Wipe firmly in circular motions and allow to dry for 5-10 minutes. Take a paper towel and buff the glass, working from the bottom to the top. A haze should appear on the glass surface – keep buffing until it goes clear and shiny. It is also best practice to clean your wiper blades, using glass cleaner and a microfibre cloth. This helps remove any grime and residue build-up, which can result in smearing to the windscreen. What glass can I use Rain-X on? Rain-X Rain Repellant is suitable for all interior and exterior glass, including the windscreen, windows and mirrors. It should not be used on motorcycle helmets or windshields but can be used as a home hack on glass shower doors, which achieves the same benefits. 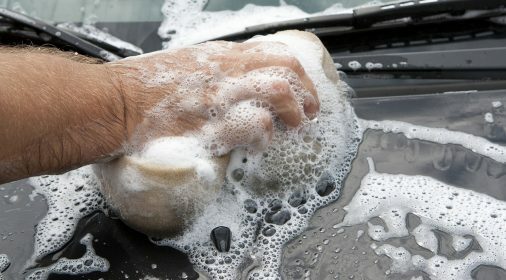 Simply apply in the same way as for your car, cleaning the glass first, applying from top to bottom and buffing until clear. How long does Rain-X last? A coat of Rain Repellent can last up to 60 days before a repeat application is needed. However, this can be dependent on weather conditions and the volume of driving you do. You’ll know it’s time for an extra coat when you notice that water begins to roll off at a slower pace. You needn’t remove the existing application when you apply your next coat as it will help to rejuvenate any remaining product. We hope our guide to Rain-X has helped you prepare for the impending wintry driving conditions.